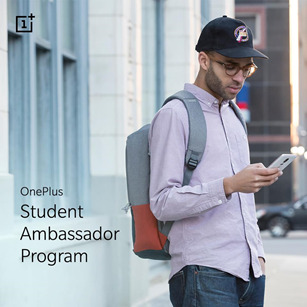 OnePlus announced the launch of its first-ever OnePlus Student Ambassador Program. The Program is dedicated to OnePlus and other technology fans from top universities in the Country. The campus connect program, which will commence on 1 September, 2018, aims to empower and groom select students across India who will serve as OnePlus community specialists, brand evangelists and technology experts in their respective institutions. OnePlus’ mission is to share the best technology with the world and its community has played a pivotal role in this mission every step of the way. Being the youngest and one of the most tech-savvy nations in the world, the student community in India has been the most active and vocal supporter of the brand. Infact, 64% of OnePlus users in India are college graduates and 30% are between the ages of 18 and 24 years. This program aims to bring the brand closer to the core student community and drive local innovations. Through OnePlus Student Ambassador Program, OnePlus aims to give back, nurture and support young talent in the country. Selected ambassadors will not only be part of exciting company projects but will also be eligible to receive resources to support local initiatives in their respective institutions. It is an excellent opportunity for young students to apply the classroom fundamentals to address real world challenges, bring disruptive ideas to fruition and directly work with one of the world’s fastest growing and most engaging smartphone brands. “At OnePlus, our focus is on actively engaging with our community in meaningful ways. With millions of student fans in India, we are proud to introduce an exclusive program to nurture young talent, improve their OnePlus experience and give them an opportunity to be a part of our exciting journey,” said Vikas Agarwal, General Manager, OnePlus India. Ambassadors will be selected based on several factors including ambition displayed, personal values, creativity, understanding of technology, passion for marketing, outgoing personality, leadership qualities and their ‘Never Settle’ attitude. They will not only receive a monthly stipend but also be eligible to experience the latest OnePlus products during the course of the program and will receive a certificate upon completion of the program. Select ambassadors will also be offered an opportunity to intern with OnePlus at OnePlus’ offices globally.